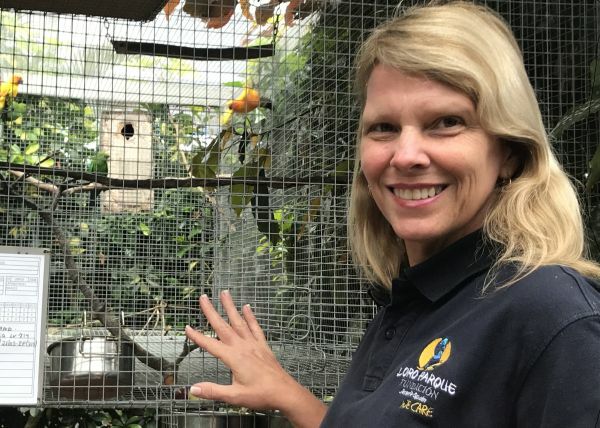 At Loro Parque Fundación we use the auxiliary technique cross-fostering when bird parents are too young and do not know how to complete the breeding process. Their eggs or chicks are entrusted to foster parents, preferably of the same species. If the chicks cannot be raised by surrogates of the same species, there are also other compatible species that perform their task very well. This practice can be, in turn, combined with other methods such as artificial incubation or hand-raising carried out by our specialized staff. In this sense, adoptive parents can increase the guarantees of embryonic development by performing the initial phase of natural incubation. Foster parents can also take care of the new born baby chicks during its first stage when they are more delicate and need more care. Each year, we have several adoptive parents protagonists, who have managed to carry out chicks that are not even of their same color, size or shape. The Major Mitchell cockatoos, Cacatua leadbeateri, have successfully raised us, on several occasions, to small Gang-Gang cockatoos, Callocephalon fimbriatum. As well the Red and green Macaw (Ara chloropterus) have successfully raised chicks of Hyacinth Macaws, Anodorhynchus hyacinthinus, or Lear’s Macaws, (Anodorhynchus leari). 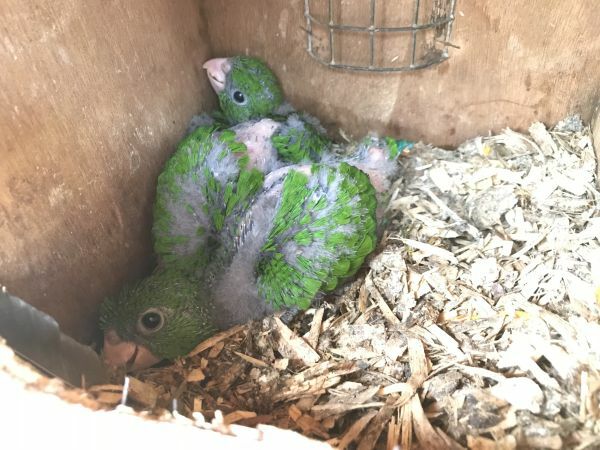 Throughout this season there are several species that have been successful with this method, highlighting, especially, the chicks of Purple-bellied Parrots, Triclaria malachitacea, that have just jumped out of the nest under the watchful eye of a couple of adoptive parents of Sun-Conures , Aratinga solstitialis, and, not only them, also our curator Marcia Weinzettl has also monitored this process supervised by her. Checking the robustness and health of these young specimens that show a vigorous aspect.